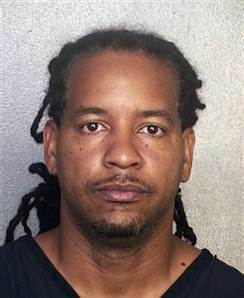 Early Tuesday morning, former Major League Baseball all-star Manny Ramirez was arrested in Weston, Florida, just outside of Fort Lauderdale. Ramirez allegedly struck his wife with a slap during an altercation this morning. He was arrested on one count of misdemeanor domestic battery. He could potentially face a year in prison if found guilty. After posting $2,500 bail, Ramirez was picked up by his sister and taken away from Broward County Jail. Ramirez’s wife Juliana said she called the police because she thought that Manny might grow angrier and hit her again. She said he hit her in the head and that she developed a bump as a result. Ramirez claims that he never struck his wife, but actually grabbed her by the shoulders and “shrugged” her, which led to her hitting her head on the couples’ headboard. In court on Tuesday, Ramirez was ordered to not contact his wife for the time being.